Full disclosure: The Crash Detectives, my own book on the mysterious disappearance of Malaysia Flight 370, will be published by Penguin in September. 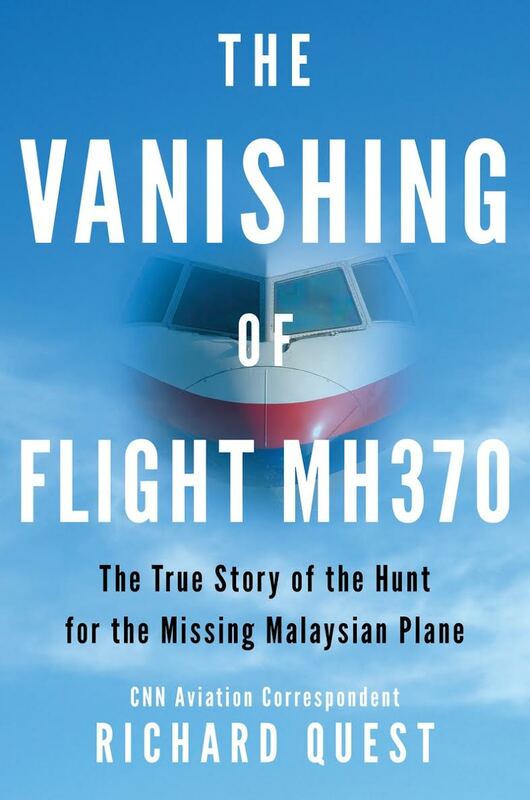 This may have colored my perception of Richard Quest's new book, The Vanishing of Flight 370. Then again, maybe it really is a rehash of CNN's original undisciplined coverage. Quest, CNN's business correspondent, is well known for his out-sized personality and his "say anything" interview style. But in the book he has produced for Penguin Berkley and timed to the second anniversary of the disappearance of Malaysia 370, all his insouciant charm is gone. Without that, Quest's demonstrated ego wears thin long before the reader gets to the book's vanity snapshots section. The photo inset features Quest with Malaysia Prime Minister Najib Razak, (2 of these) Quest with Malaysia defense minister Hishammuddin Hussein, Quest with Malaysia's aviation boss Dato Sri Azharuddin Abdul Rahman, Quest with MH-370 passenger advocate Sarah Bajc, Quest with fellow CNN staffers; Anderson Cooper, Don Lemon and Chris Cuomo and best of all Quest with MH-370 pilot Fariq Hamid. Why yes. 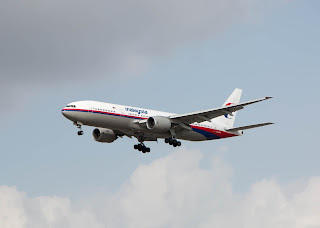 The most interesting tidbit in Quest's retelling of the MH-370 story and CNN's coverage of it is that sixteen days before the Boeing 777 inexplicably flew into the South Indian Ocean, Quest and a CNN camera crew were in the cockpit of a Malaysia Airlines flight from Hong Kong to Kuala Lumpur. 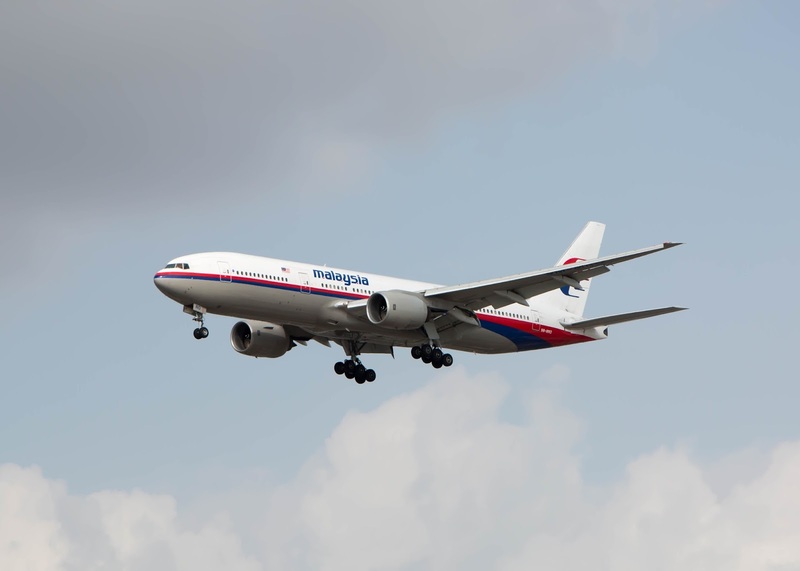 Astonishingly, the pilot in the right seat on that flight was 27-year old Fariq Hamid, who very shortly would be the first officer of MH-370. "I wanted the footage badly, but I also knew I didn't want an incident on my hands," Quest writes. "So I gingerly asked Captain Liu whether it was wise for us to be putting Hamid under more stress by filming his landing the plane. My hope was that Liu would decide to land the aircraft himself." But it was no deal. Fariq did the landing at Kuala Lumpur. 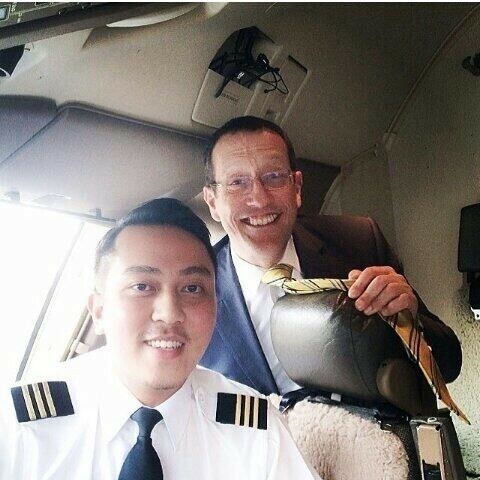 Quest got his footage and afterwards the reporter posed with Fariq for a selfie on the pilot's cell phone. This is a weird coincidence of which I was not aware until Quest's book arrived on my doorstep last month, I probably missed it because when I was in Malaysia working for ABC News, I rarely saw CNN's coverage. If I missed anything else significant, Quest's book presents a near play-by-play of the action at the Atlanta-based news network. What many saw as CNN's non-stop, talking-head-heavy obsession with every non-development was "the antithesis of the era of prepackaged, formulaic news coverage," according to Quest. "It was why twenty-four-hour news had been invented," he writes. "Here the viewer was being invited to see firsthand the process by which raw news is analyzed and brought into perspective." Right about now, you are wondering why I meandered from the ostensible subject of the book - MH-370 - to bring up CNN's coverage. Well, that's because the author takes a similarly bifurcated path. 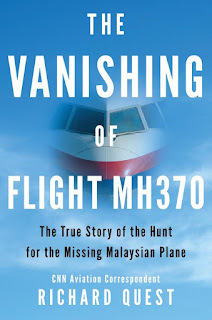 While the book purports to be about the disappearance of the plane, "The True Story of the Hunt for the Missing Malaysian Plane" is the subtitle, Quest's book is equal parts a retelling of what we've learned over the past two years and a justification of the way CNN went all out to "own the story." So Quest's book disappoints on a number of levels, but one slip up is most telling, especially coming from a reporter as well-versed in the aviation industry as Quest unarguably is. Before MH-370, Quest claims "No commercial plane that had ever crashed did so without leaving a trace." 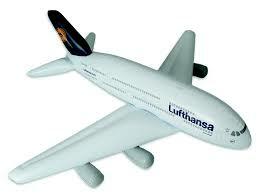 In fact, over the past century, a number of flights have vanished never to be seen again. There's the loss of the Hawaii Clipper in July 1938 and the mysterious disappearance of an Indonesian commuter flight in 1995 and a half a dozen others in between. Any book that professes to be the "true story," ought not to include such a demonstrably false statement especially when the author has the reporting strength of an entire news network on which he can rely.